This box is empty at the moment, but Check back in April for the 2019 nesting season. American Kestrels are the smallest falcons that nest in North America. Their numbers have been declining, due to predation by larger hawks and owls, disease and habitat loss. 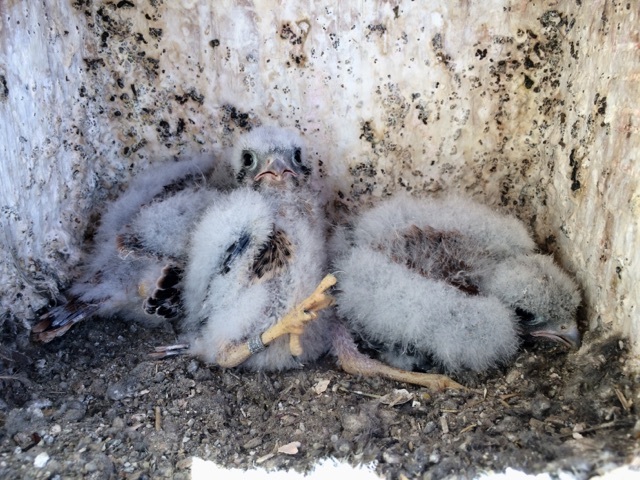 These little falcons readily take to nest boxes, therefore we have placed a plan in place to have a hundred nest boxes for American Kestrels from south Boulder to North Fort Collins and up in the mountains around Estes Park within the next few years. The camera below, is in a nest box in Loveland, Colorado. The camera is placed at the top inside of the nest box and faces straight down on purpose. The reason for this is because falcons and hawks defecate by shooting their feces over the edge of the nest. 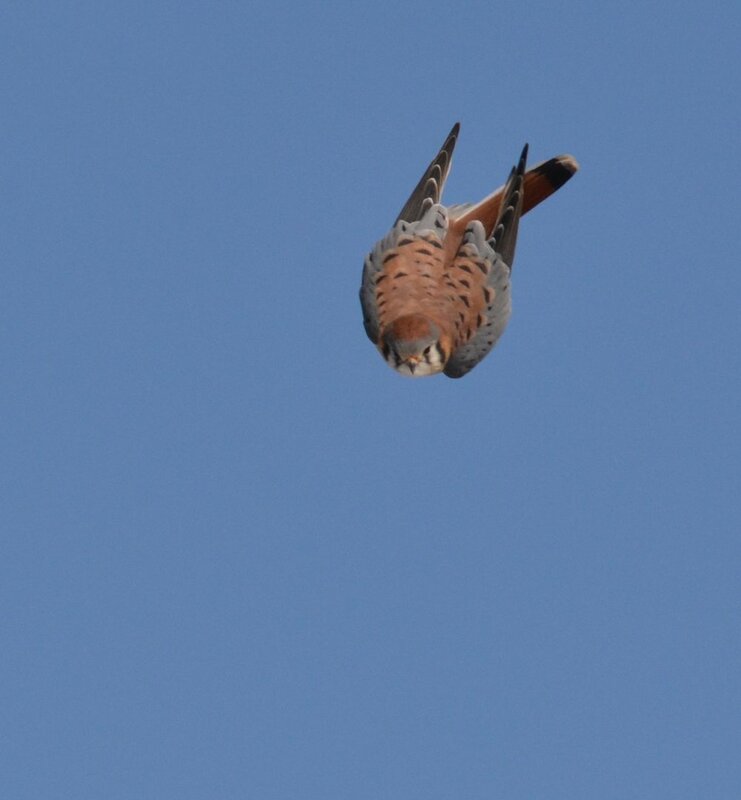 For generations, American Kestrels have evolved to nest in cavities, yet still defecate in the same manor as other falcons and hawks. If we had the camera on the side of the box, as we do with the Barn Owls, the camera would get covered with excrement and be of no use. Therefore, we decided to make a very tall box and place the camera at the top looking down, so the camera would remain clean throughout the nesting cycle. We have been working with American Kestrels for over 30 years and have found a nest box size that we feel is about perfect for the birds, as it gives the young room to move around in the box and exercise their wings prior to fledging. Make the entrance hole 3 inches in diameter and 1.5 inches from the top, front of the box. We would like to thank Rise Broadband and the city of Loveland, Colorado for their assistance with this nest box and the live video. A portrait of the nestlings.